I have an odd issue today. When looking at a list I can see the lookup field is populated with an item, this is one of a few lookup fields on the list. However when I look at the results of a rest call to the list none of the IDs of the item show up, the collection in the JSON is empty and self closing. I had resolved this before by deleting and re-creating the column, however the issue returned the next day. Has anyone ran into this issue before and know how to fix it? Edit: Was suggested to use a select and expand to fix issue but did not resolve problem. I have added more info related to this below. Any further help you can provide will be appriciated. I resolved it myself, it turned out that a lookup field wont return any Id in rest if the lookup field (i.e field/Title) is empty. Not the answer you're looking for? 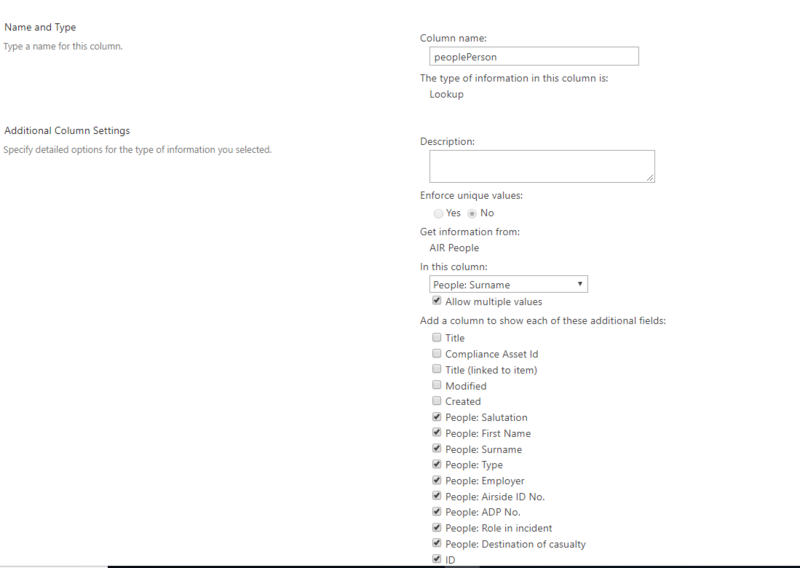 Browse other questions tagged sharepoint-online rest custom-list lookup-column spfx or ask your own question.